I enjoy freelance creative writing and being a Mum to my two awesome boys. Where do you find the best pies and baked goods near Perth? Answer; at award winning Pinjarra Bakery and Patisserie. Residing on the Southern doorstep to Perth, anticipate a one hour drive to reach one of the best bakeries in Australia and why not visit soon? 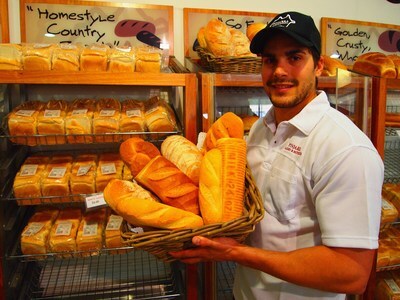 Pinjarra Bakery and Patisserie has been open since 1997. Starting from an earlier venture, the family owned and operated business employ local staff of approximately 50 people. [ADVERT]Specialising in handmade gourmet pies, breads, pastries, pizza, gelato and sorbet, you'll definitely be content if you stop in for a bite. Made fresh daily, their quality products and customer's experience is paramount, evident by the food alone and the desire to improve all the time. A VIP customer discount card can be created for those wishing to avail themselves of the 5% deduction on every purchase; conditions apply. They also have feedback forms in-store or online to assist with better service, or simply congratulate them for outstanding effort. Gourmet Chunky Beef, Red Wine & Garlic Beef, Pepper Beef, Potato Beef, Mushroom Beef, Chilli Beef, Curry Beef, Bacon & Egg, Gourmet Curry Chicken & Vegetable and Gourmet Chicken & Vegetable. They also have assorted Sausage Rolls and Pasties. Having sampled many of the classic and gourmet pies on separate occasions, I am yet to find one I have been disappointed with. It is difficult to have a favourite. 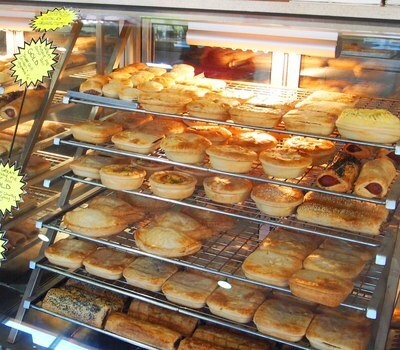 Prices for all pies range from $4.90 to $7.20, depending upon your choice. Sausage Rolls, Sausage Pastries and Pasties cost $3.90 to $5.30. Delicious sweets & pastries galore! The bakery also takes pride in making beautiful pastries and breads. 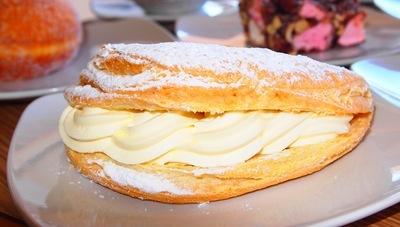 Vanilla slices, Apple Turnovers, Éclairs, Biscuits, Cakes; the choices go on. Breads include White, Multi-Grain, Wholemeal, Assorted Rolls and more. Lighter choices are available and freshly made to order. Try Sandwiches, Rolls and Tortilla Wraps with an abundance of fillings to choose from. The set menu is delectable and can take the guesswork out of your decision. This ranges from $4.80 to $8.90. Coffee, Tea, Shakes, Smoothies and Ice Frappes can be made for dine-in or takeaway. From a Classic 'Flat White' Coffee for $3.80 to a large takeaway 'Wake Me Up!' Iced Coffee Smoothie for $6.70, there are many different types and flavours for the more adventurous. 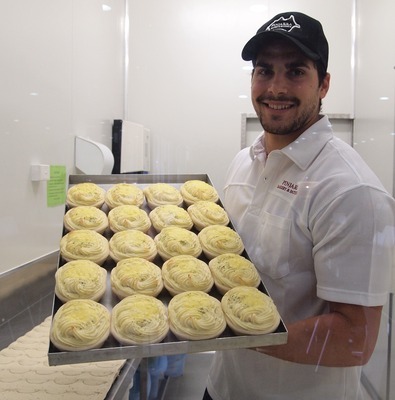 The Pinjarra Bakery and Patisserie have won more than 300 awards in the last 14 years. These State and National Awards are a reflection of their dedication and regard for quality. Last year alone they received 13 gold and 2 silver awards in the 'Great Aussie Meat Pie Competition.' To have a look at some of their award history, visit here or come in-store. A second store opened in Waroona 3 years ago and provides for a more intimate atmosphere in a smaller setting. It's just as popular and entices locals and travellers alike. The Waroona outlet can be found along the main street at 36 South West Highway across from the Visitor Centre. Phone (08) 9733 2278 for more details. The only downsides – Some may say the modern, but simple décor, although this will not improve the food. I would say just driving an hour to get there. So, if your passing through, going on a holiday or simply cannot resist curiosity, don't bite off more than you can chew, save your appetite for a day in Pinjarra and the best bakery included.